With March quickly approaching, we’re thrilled to share the first wave of SXSW EDU mentors as well as 50+ sessions! Explore the full announcement of programming added for March below. The mentor program at SXSW EDU facilitates purpose-driven, one-on-one connections between experienced professionals and solution-seeking attendees. Mentors range from classroom teachers and professors to industry insiders and CEOs. Registered attendees will be given the opportunity to sign up for a 12-minute meeting with a mentor beginning in February through the SXSW EDU schedule. In addition to mentors, more than 50 sessions have been added to the schedule for March. These sessions were selected from PanelPicker, and join the previously announced sessions and workshops to make for more than 300 scheduled for SXSW EDU 2019. Lock in your plans for SXSW EDU for four days of actionable learning experiences and powerful networking opportunities. Register by the discount deadline on Friday, December 7, to save $150 off the walk-up rate. Don’t miss out on the latest news, sign up for the SXSW EDU Event Update and follow us on Twitter, Facebook, and Instagram for daily updates. 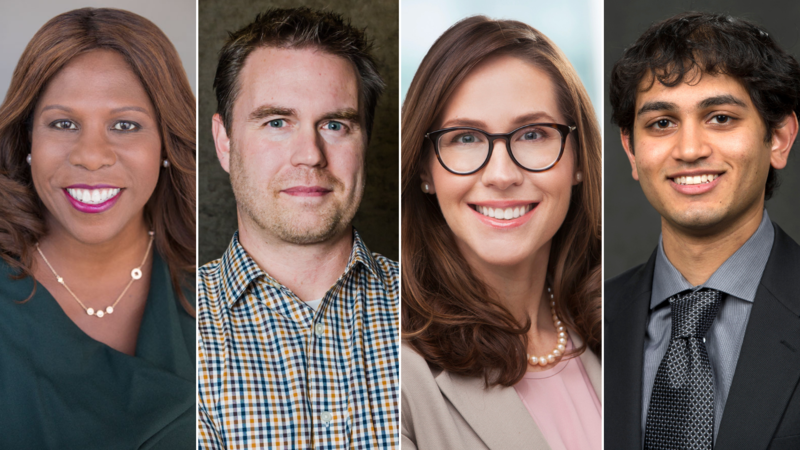 First wave of mentors for SXSW EDU 2019 including (l-r) Angelia Dickens, Rich Beaudrie, Josie McSpadden, and Sahil Patel.